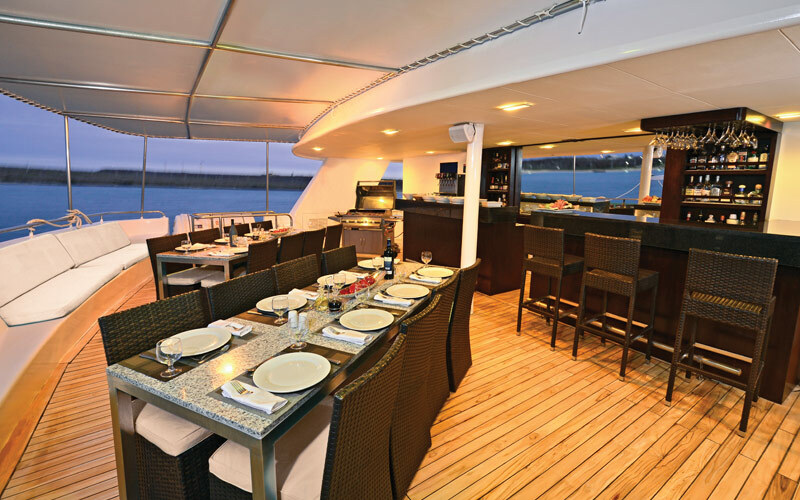 Embark on a cruise of a lifetime in the intimate sphere of Celebrity Xploration as it sails through the Galapagos archipelago. This voyage of discovery offers 7- night itineraries in unique ports of call with historical sites and important landmarks such as El Barranco, Espumilla Beach, Chinese Hat, Walls of Tears and Puerto Villamil. 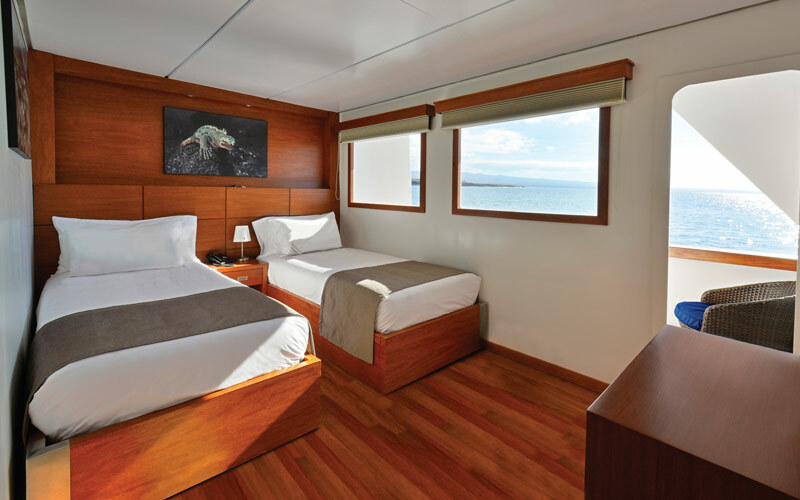 Experience the Galapagos in one of its 8 luxuriously cozy staterooms with all-inclusive amenities. 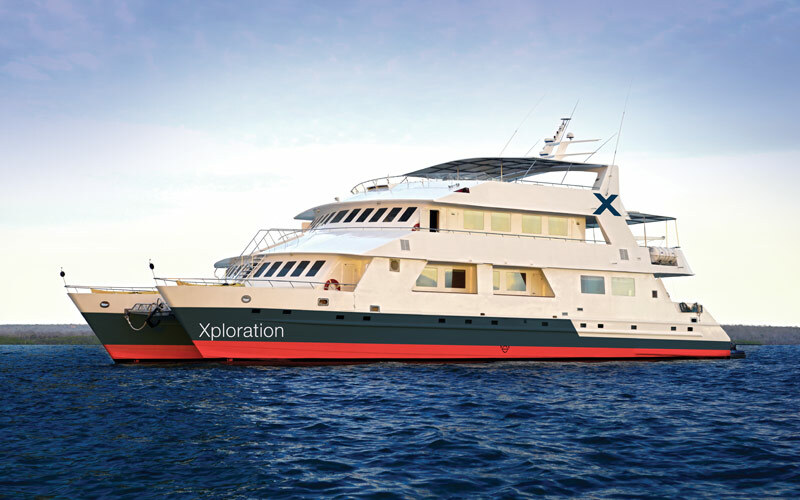 The 16-passenger guest capacity on Celebrity Xploration makes it perfect for family getaways and small group expeditions. Find yourself in smaller bays and ports you could only dream of, and relish in seamless personalized services only found on smaller ships. 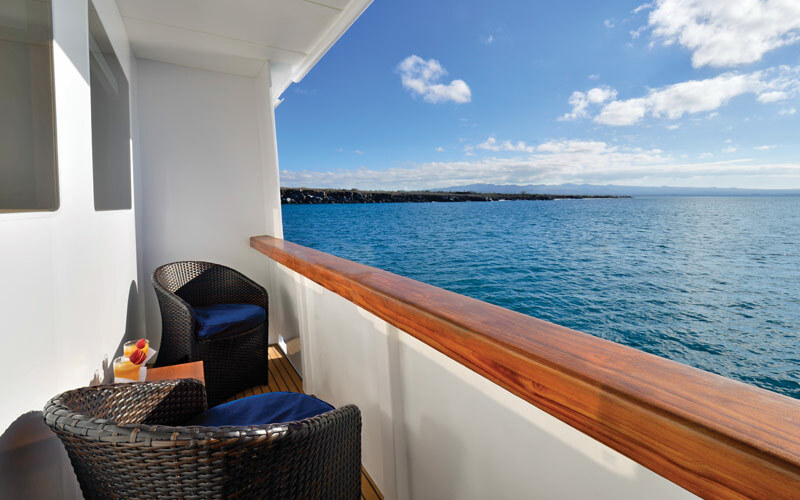 Celebrity Xploration provides ample outdoor space, personal views of the stunning Galapagos Islands from stateroom verandas, and new horizons for modern explorers. Both the Junior Suite and Elite Ocean View accommodations give you a distinct perspective on the role the Galapagos Island played in inspiring Darwin's theory of evolution. Go stargazing and whale watching on the Sun Deck as you marvel at nature’s best from a distance. This deck is Celebrity Xploration’s most popular public space for a reason, so don’t forget your soaking session in the hot tub! Take a much needed break from the day’s activities to relax and enjoy delectable cuisine with family and friends. Enjoy lunch in Al Fresco’s serene atmosphere and dinner under the stars. If you plan on having cocktails, catching up on your favorite novel, watching a documentary or mingling with other guests, this is the best place to do so. Keep in mind that all Naturalist briefings take place here. 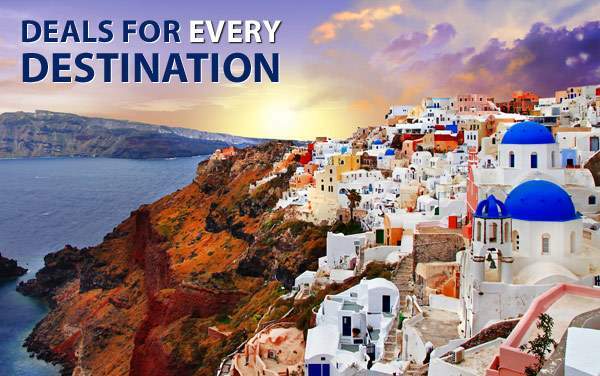 Whether you are looking for a voyage to a Caribbean paradise, a culinary journey to the Mediterranean or an unforgettable cruise to Alaska, Celebrity Cruises can take you there in style. 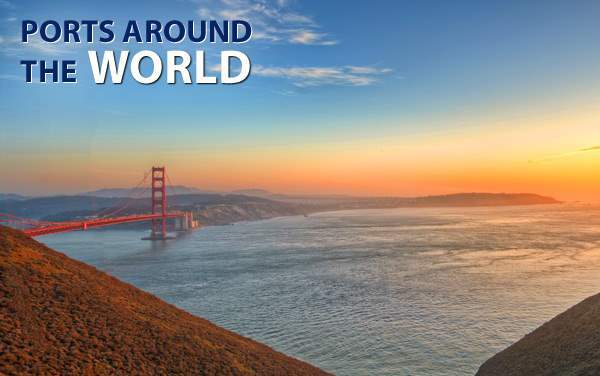 Visit hundreds of ports in numerous countries ranging from Anchorage, Alaska to Yangon, Myanmar and everywhere in between. You can go golfing in Bermuda, view the awe-inspiring Panama Canal or swim the Great Barrier Reef in Australia when you choose to cruise with Celebrity Cruises. 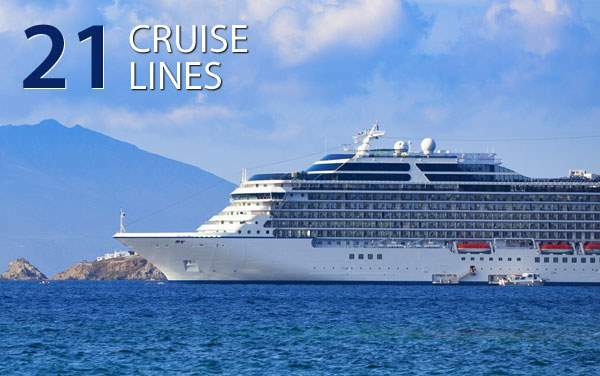 To set sail with Celebrity is an easy task as this premium cruise line has ships embarking from ports all over the world. 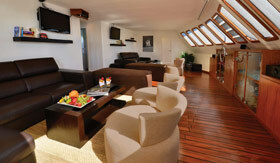 Explore the Mediterranean on a sailing from Barcelona, Venice, Istanbul or Rome. Enjoy the land down under with a cruise from Sydney to Auckland. You can even explore the good old U.S. of A with a sailing to Alaska from Seattle or around Hawaii from Honolulu. Whichever port you want to leave from The Cruise Web has a deal for you so contact us today! Modern luxury lives here. Two lower beds, convertible to Queen. Dual voltage 110/220 AC. In-suite bathroom & wardrobe. Flat screen TV's. Direct-dial telephone. Safe. Desk. Air conditioning. Refrigerator with choice of beverages. Wi-Fi. Room service. Luggage delivery. Choice of soft or firm mattress. Duvet cover. Pillow menu. 300 thread count, Egyptian cotton linens. Hair dryer. Use of bathrobes. Complimentary beach towel service. Binoculars for use. 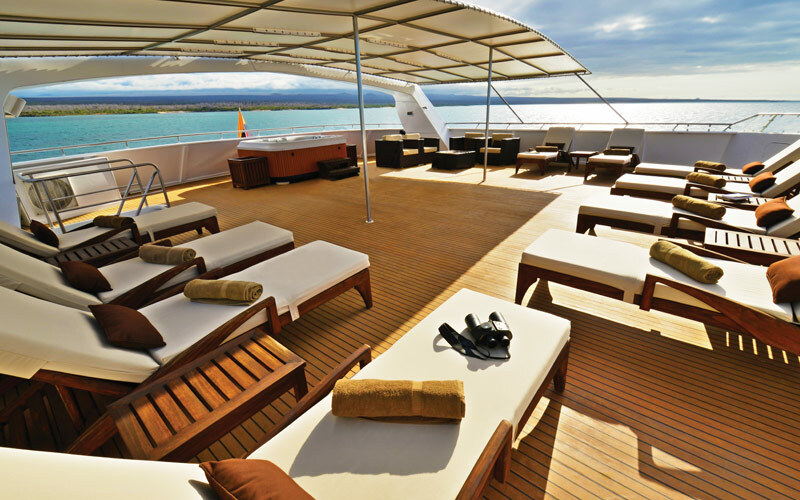 Soak in sunsets on the equator from your private veranda. Two lower beds, convertible to Queen. Dual voltage 110/220 AC. In-suite bathroom & wardrobe. Flat screen TV's. Direct-dial telephone. Safe. Desk. Air conditioning. Refrigerator with choice of beverages. Wi-Fi. Room service. Luggage delivery. Choice of soft or firm mattress. Duvet cover. Pillow menu. 300 thread count, Egyptian cotton linens. Hair dryer. Use of bathrobes. Complimentary beach towel service. Binoculars for use. A Celebrity Cruise is a delight for the eyes. Check out this photo gallery to get a sense of the sophisticated, chic and comfortable spaces that await you on a Celebrity Cruise ship. Celebrity Cruises' handicap accessible cruises and accommodations for guests with special needs or disabilities include accessible excursions and accessible staterooms. Dining aboard Celebrity Cruises features main dining rooms and specialty restaurants like Blu, Qsine, Murano, Normandie, Lawn Club Grill, Tuscan Grille and Silk Harvest. Celebrity Cruises' onboard entertainment include stage productions, dance shows, comedians, live music, DJ performances, Lawn Club concerts, Sin City comedy shows and the 54 Below dinner and cabaret. Celebrity Cruises' onboard activities, bars, lounges and clubs features the Cellar Masters wine bar and Sky Observation Lounge. There's also duty-free shopping, the casino and pools. Learn how Celebrity Cruises takes care of your every need with friendly stateroom attendants and an extensive list of onboard services. 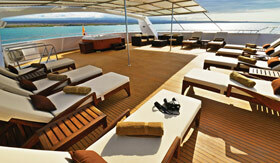 Plus, view Celebrity Cruises' cruising awards. Enjoy Celebrity Cruises' fitness centers, private spas and various spa treatments, like massages, salon services, acupuncture and more. 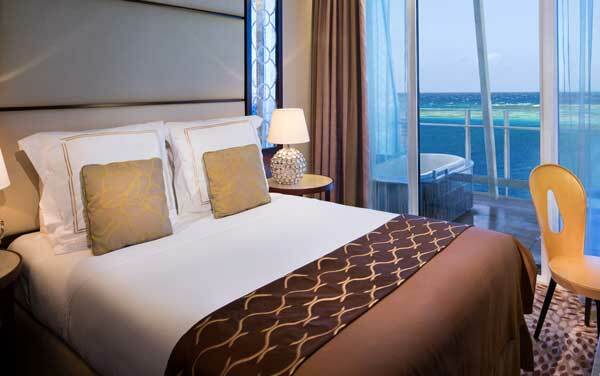 View Celebrity Cruises' premium staterooms, including suite, balcony, oceanview and inside staterooms. 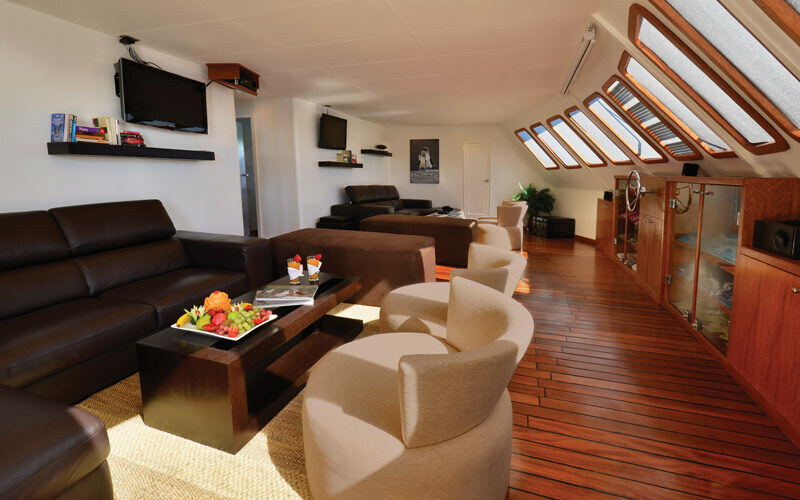 Celebrity Cruises' feature several signature suites, such as the Reflection Suite, AquaClass Suite, Sky Suite, Royal Suite and more. Learn about cruising with children aboard Celebrity Cruises, which offers youth programs for toddlers, pre-teens and teenagers. Programs include Xbox at Sea, iTake film program, the Nerdel health program and more.